Some Christians belittle the Protestant Reformers as men and as Christians, and even slander them. Others proclaim that “the Protest” is over and rejoice about this. Perhaps some of us don’t have an understanding of history, but whether or not that is true, it is as if many of us see nothing of value in the hard work and sacrifice and Biblical wisdom of our brothers and sisters of former days. Shouldn’t we be grateful for the Reformers and the Reformation? Isn’t the Reformation one of the greatest blessings the Lord has given us, and one of the greatest works of His Spirit? Today we are looking for and hoping for a wonderful move of the Spirit before Jesus returns, but while this is a good and glorious desire, we should never forget or dismiss what He has done already. Three years from today, on 31 October 2017, if God is willing, we will celebrate the 500th anniversary of the day on which the much maligned Martin Luther nailed his “95 Theses” to the door of the cathedral in Wittenberg, inviting his fellow faculty members to debate errors and questionable practices of the Roman Catholic Church. The Theses were written in Latin. His students translated them into German and published them far and wide. 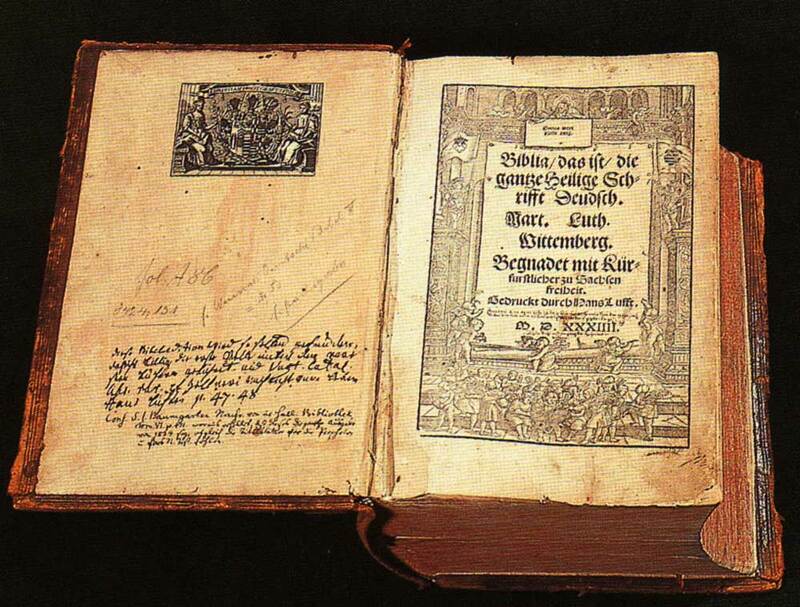 From this humble start of paper and ink, and the questionings of a troubled conscience, the Reformation took off. Ever since then, there are people who have been working to undo what God did through it, and to injure and destroy the church that He set free to worship Him in spirit and truth. Ever since then, people have been undermining the Reformation’s power to inspire us, by pointing out the sins, biases, failures, mistakes, and foibles of the men whom God chose to use to help us. Of course it is wrong to put the Reformers on pedestals – yes! But it is also wrong to reject them, and to think of ourselves more highly than we should by believing that we are above them, when it was God Who gave them to us for our good. 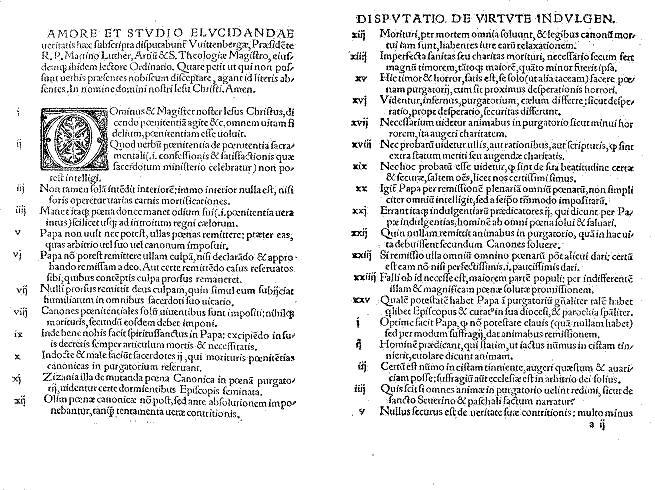 As a result of the Reformation, we have the Bible in our own languages. As a result of it, the Gospel was recovered and preached in power and faithfulness. Because of this particular day and particular period of history, faithful Christians have preached to you and me, so that we came to trust in Jesus Christ alone and possess the promise of forgiveness and eternal life made certain in His Word. Most of my childhood and teen years were overshadowed by a kind of darkness or dimness. No bright summertime, white winter, or holiday glitter could relieve this for long. My Father had died, and by the time I was 7, my Grandpop was gone too. My Mother and I lived with Grandmom. Both my Mother and Grandmom were very sad, though they did their best to love me and provide a good home. Being sent to Roman Catholic schools added to the gloom. For one thing, the way of life of the sisters who taught us was unnatural and depressing. But most importantly, the knowledge of God was suppressed and therefore withheld from us. The Gospel of the love of God in Jesus Christ was unknown to our teachers, and so they couldn’t share it with us. At school, only temporary joys existed, like friendship and fun – firecrackers that lit the gloom – but there was no deep abiding happiness that could replace the night of my selfishness, because my teachers were in darkness themselves and therefore ignorant of God’s way to help us. My generous and faithful Mother sacrificed to send me to Catholic school. She tried to give me what she believed was best, but she had no plumbline to measure the rightness of her decisions because she wasn’t schooled in the Bible but in the dogmas of this religious system. My education was very fine in many ways, but it fell eternally short. I thought the Gospel was a book, that is, Matthew, Mark, Luke, or John. I never heard the Gospel of Jesus Christ preached. Things haven’t improved at this school, and I’m grateful that I attended when I did, because now it has taken up the banner of social justice (“educating young women to live mercy and seek justice”). Of those students who graduated in 2014, almost 30% of those deciding to further their education chose Jesuit institutions: Fordham, Marquette, Georgetown, Saint Joseph’s, University of Scranton, and Boston College. The Fall 2014 issue of the school magazine consists of 53 pages, the front and back cover, and inside cover matter. There is no mention of Jesus Christ anywhere. After all this time, what should our attitude toward it be? We need to say, “Thank you, Lord!” Abraham’s descendants were delivered from slavery to serve Him, and so were we. How about the Reformers? Don’t we understands things that they didn’t? Aren’t we beyond their concerns? We need to humble ourselves and admit that we’ve lost many of the things that they knew. What should we do for the Catholics we know?